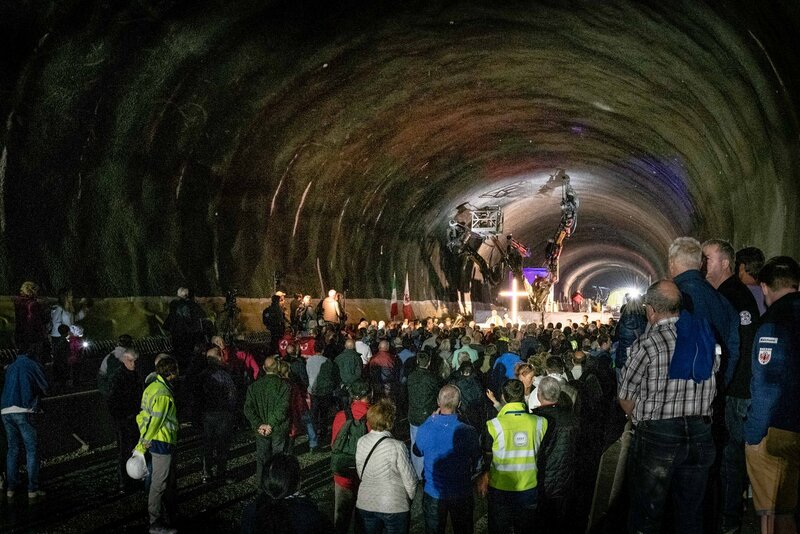 For the first time ever in the BBT project area of Innsbruck, it was possible to visit the various construction stages of a tunnel - from the civil engineering works to the inner lining. There was a new visitor record: 5,300 visitors, including 1,600 children. 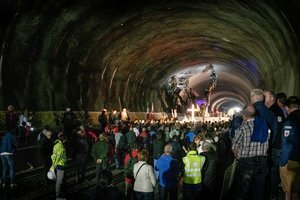 The yearly Open Tunnel Day in the Brenner Base Tunnel attracted thousands of people this year, too. There were many local visitors from Tyrol, but also numerous visitors from other regions. Interested visitors from Great Britain, Germany, Switzerland and Italy were welcomed, too, including lots of families who wanted to get information on tunnelling and see the construction site. BBT SE CEO Prof. Konrad Bergmeister was pleased at the population’s enormous interest. “Since 2007, we have been opening a construction site to the public once a year. Everyone is invited find out about the construction progress of one of the world’s largest infrastructural project. The world of underground tunnelling opened its doors to the visitors, from the excavation works to the inner lining. Most of the work is done underground. I am truly delighted about this year's new visitor record, since this is a sign of acknowledgement for us." The day started with a Holy Mass, celebrated by Msg. Helmut Gatterer, in the presence of more than 1,000 people. During a expertly guided bus tour, many important details on the Brenner Base Tunnel were shared. Entering through the Ahrental access tunnel, the tour continued for several kilometres through the main tunnel tube est, to the point of the actual event area. The tour ended with the exit from the Ampass access tunnel. BBT SE project engineers, stationed at information kiosks, explained issues of tunnel construction, works, geology, planning and environmental measures of this project of the century. Construction machinery, the “giants of the construction site” were met with enthusiasm from both young and old visitors. Drilling jumbos, special big dumper trucks, lorries, excavators and many other special construction equipment like mobile carriage moulds were shown.